5 podcasters…39 Avengers Characters… 1 of the biggest movie events of all time …as many deaths as we can draft in one hour! Who lives? Who dies? 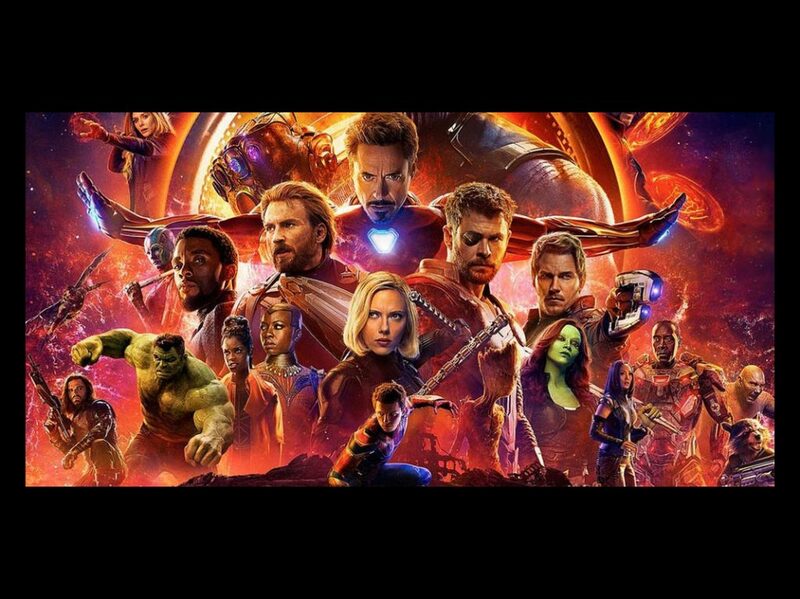 We give you OUR take in our Avengers Infinity War FANTASY DEATH DRAFT with special guests Derek Becker from Comic Pros and Cons, Bevin from Adultish and Casey Stroz from Bad Coyote Funky. Pick the most deaths in the new film and your team wins. Join us won’t you? The Infinity War Fantasy Death Draft continues, Bevin drafts Vision, Hassan drafts Iron Man, Sam drafts Nick Fury, Derrick drafts Spiderman and Nebula, Derrick convinces the group that Spiderman is a possibility, Sam drafts Thor, “Do we really want Natalie Portman in the starring role of a Thor film?”, Hassan drafts Hulk, Emotional draw between Hulk and Black Widow, Hassan: “Hulk Is never getting his own movies”, Bevin drafts Heimdall, Casey drafts Gamora, Derrick: “Gamora has the emotional punch that Nebula lacks to motivate the Avengers”, Michael drafts HawkEye, Will Scarlett Witch be in the movie? 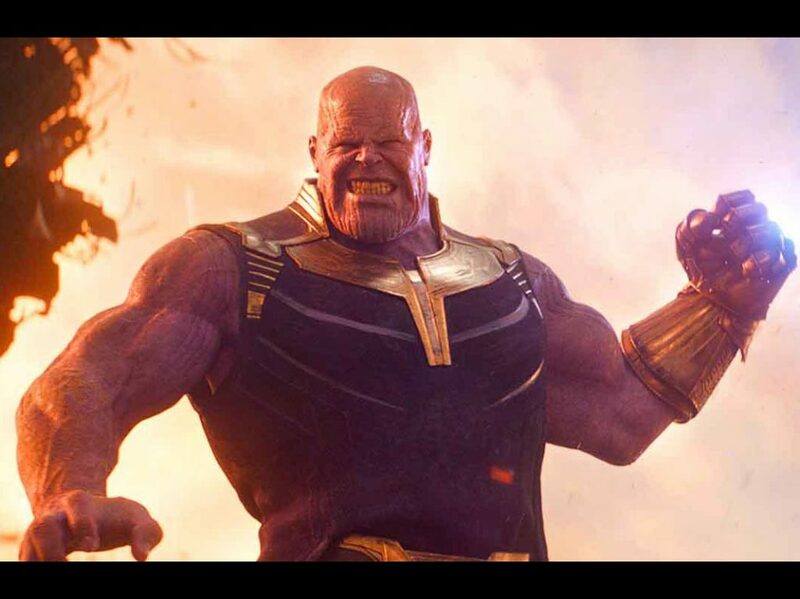 What roll will Thanos play to justify his build up, Will Thanos kill some of the heroes the way he did in the comics?, Chris Pratt, Jennifer Lawrence’s role overblown in Xmen?, The Human Torch, Captain America vs Kill Monger?, The Help movie, Hassan and Michael play This or That?, Who’s more likely to die Lowkey or Vision?, Hulk loses an arm or Thor gets his eye back?, Will the final battle come down to Captain America or Iron Man, Hassan chooses Iron Man because the trailer promotes the former, The wild card of the movie will be Spiderman or Dr.Strange?, Which blockbuster will play more of a roll Guardians of the Galaxy or Black Panther, Who would win in a fight Thanos or Apocalypse, Comic book Thanos vs. Comic book Apocalypse, Biggest surprise cameo with largest impact? 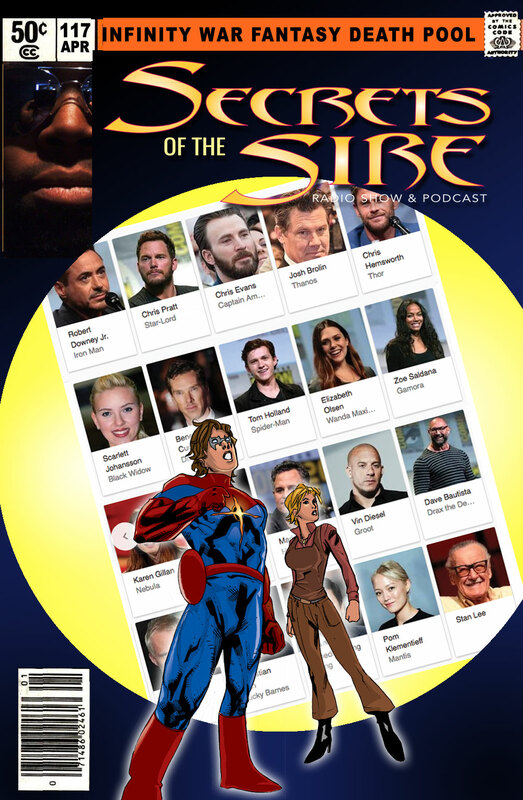 Will Wolverine or the Fantastic Four make a surprise appearance?, Nick Fury, Sam Jackson, Spinning the Racks, Yoda, Luke Skywalker, Mark Hannibal, Harley Quinn spin off movie, New God’s, Ava Dirne, First Asian director for their films, Dire Michael and Hassan discuss selling diversity, Warner Brother’s stealing MCU’s business model, Starbucks is closing all of their shops for one day for racial bias training, Michael discusses the inconveniences of closings Starbucks closing, Michael and Hassan discuss next weeks topics. NEXT WEEK: Did Avengers Infinity War live up to the hype? And whose fantasy death team scored the most W’s? We give you our review of the biggest Marvel movie in history!